Metal palisade can be used in a variety of applications, such as in school playgrounds, sport fields or most commonly at Industrial areas. 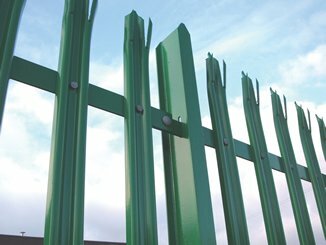 Triple splay palisade is a daunting sight for would-be burglars , an ideal anti-climb fence that comes complete with anti-shear bolts to prevent un-bolting of the pales. It can also be a colourful fence, inkeeping with its surroundings. 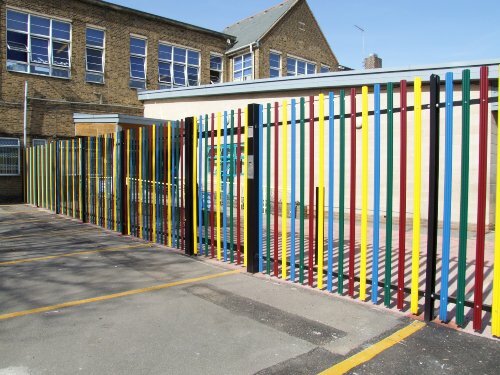 Alternatively to the Triple Splayed pales, we have Round & Notched Palisade which is ideal for areas such as child playgrounds, or internal divides inside a compound. Available from stock in Galvanised and Powder Coated RAL6005 at our Erith Branch. 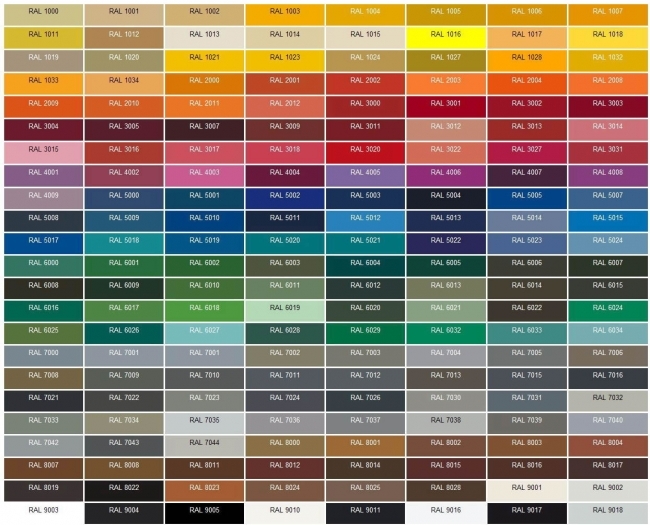 For different PPC colours, please see our RAL Colour chart for a spectrum of colours & their codes. NB: Palisade is sold in 2.75m bay increments which consists of 1 Post, 2 Rails & 17 Pales. if you have 5mtrs to cover, you would have to purchase 5.5mtrs of palisade plus 1 extra post to finish.